With the HITMAN Upgrade Pack, you’ll unlock access to all other locations, all future live content, Contracts Mode and additional game updates. Can only be purchased in conjunction with the HITMAN Intro Pack. As Agent 47, you will perform contract hits on powerful, high- profile targets in exotic locations around the world. 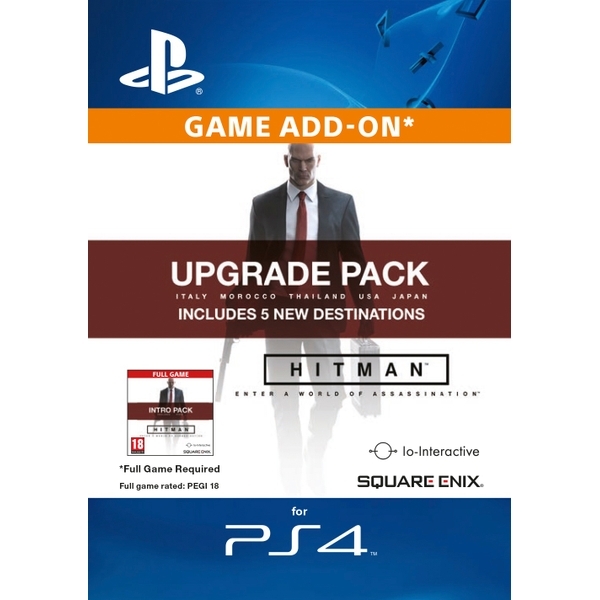 With the HITMAN Upgrade Pack, you’ll unlock access to all other locations, all future live content, Contracts Mode and additional game updates.